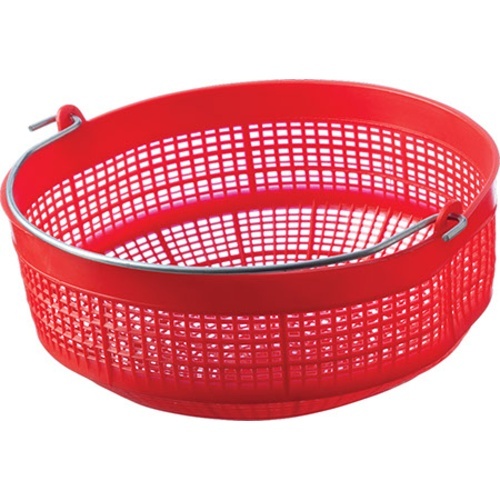 A plastic filter basket that can be used to drain off small amounts of must. Allow the free run wine to flow through while you collect the skins for your grape press. approx. dimensions are 10.25 inches in diameter, 5 inches tall, and 4.75 inches deep. I use this device to collect my must for analysis. Without it I couldn't even get a pipette collection so this is a must have imho. I use this basket when I'm making my wine to scoop up the fruit at the top of the wine. And then I'll dump it into my fruit press for pressing.